In my last post I focused on the adorable Pied-billed Grebe family that I photographed over the July 4 weekend at the Lake Apopka Wildlife Drive. 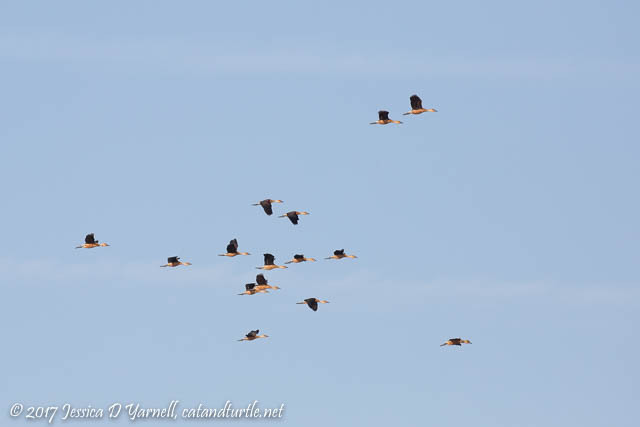 Don’t think, however, that they were the only birds that I photographed those mornings. Quite the contrary! This is a bit of a catch-up post to share images of other fun birds from those mornings. The alligators were very active in one of the canals one morning. 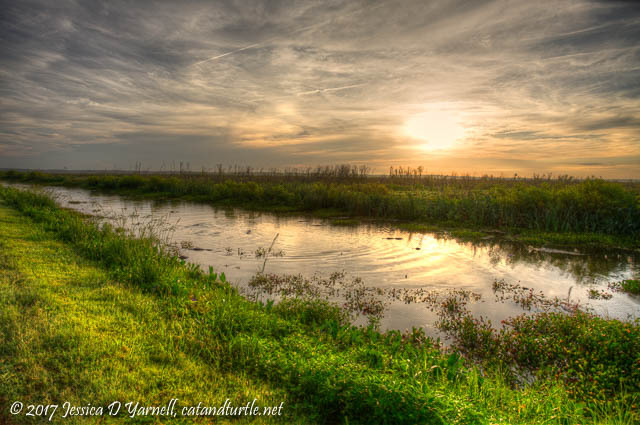 I saw at least 20 or 30 alligators swimming in a fairly small area. There must have been a ton of fish in that pool! 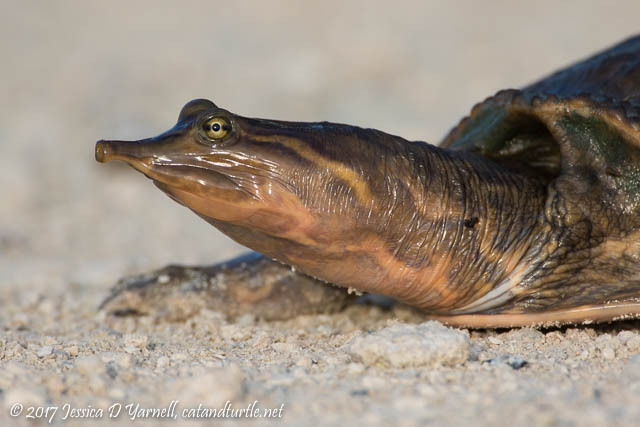 Every once in a while an alligator would throw himself out of the water to jump on a fish. The energy to expel such a large animal from the water hardly seemed worth it for a single fish! 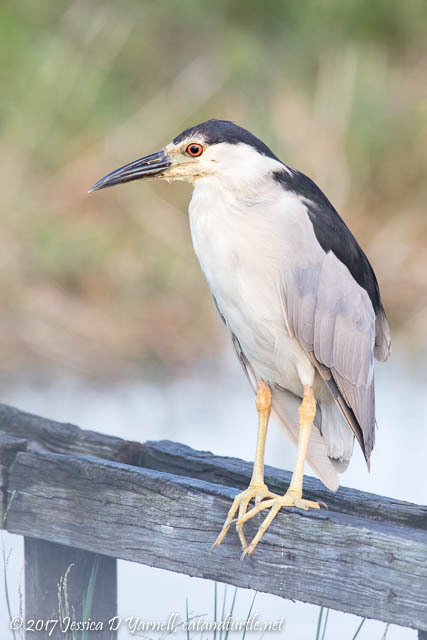 I found a Black-crowned Night Heron on the bridge down by the pump house. It was unusual to find him so out in the open. He stood intently staring at the fish in the pond below him. 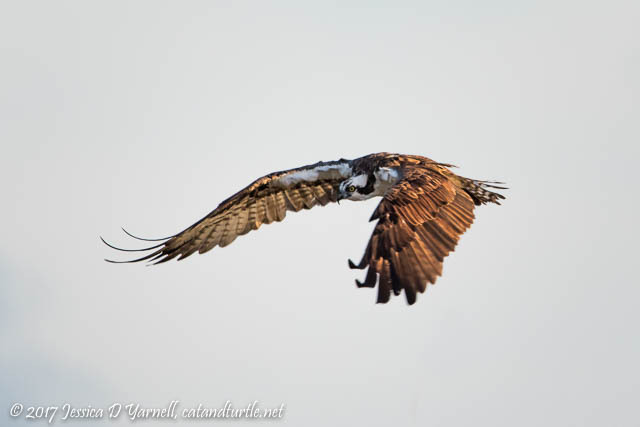 Could I write a post about the Lake Apopka Wildlife Drive and not post an Osprey? Nope! This one didn’t have a fish, but I loved the position of his wings. Streeeetch! The oldest Pied-billed Grebe babies are getting more independent. The bigger baby hung out by himself, close to the road. I loved his reflection in the still waters. He still wears his juvenal plumage stripes, but he’s looking more like an adult grebe every day. I didn’t get a good picture, but I did have a fun find – an American Coot! 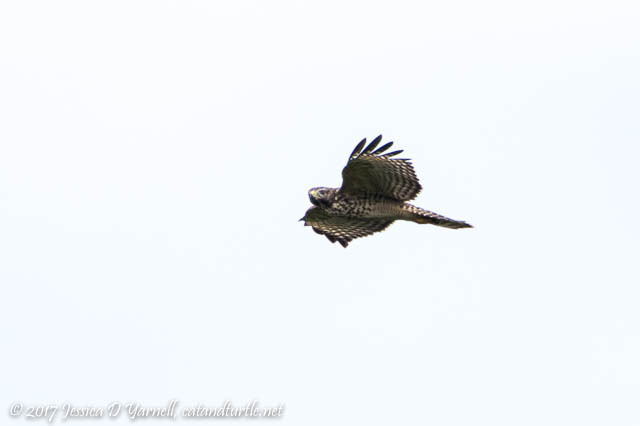 I’ve seen then reported on eBird, but this was the first time I saw one for myself. I know, I’m obsessed with coots. They are so common, but not super-easy to find at LAWD during the summer. 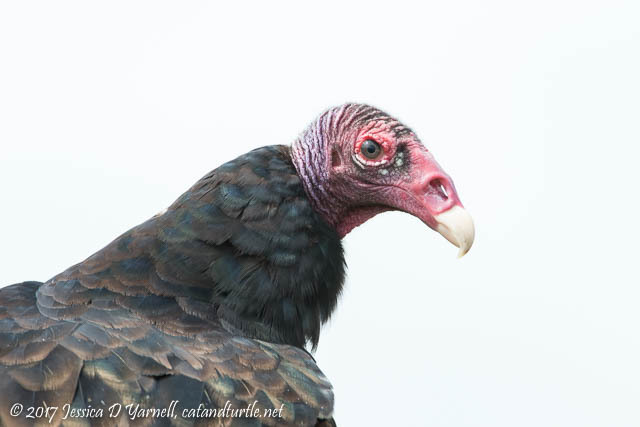 Speaking of common, I found a pair of Turkey Vultures sitting on a fence out by the sod fields. They didn’t mind when I pulled up next to them for a few head shots. They are so dignified in their ugly way. Their faces are carefully crafted with no feathers to keep them from spreading disease when they eat the random…stuff…that they find. Nature is pretty smart. 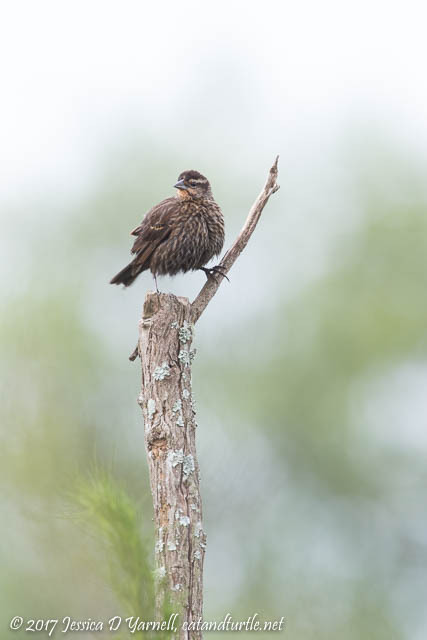 This female Red-winged Blackbird posed nicely on a treetop out by the sod fields. I liked her pose, with one food on the trunk and one foot on the adjacent branch. 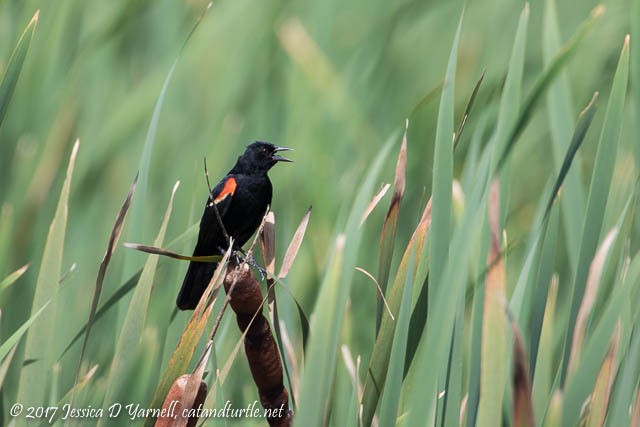 This pose is classic blackbird, perched out in the cattails. I never get tired of watching these birds sing. Turning onto Laughlin one morning, I stopped suddenly and grabbed my camera. 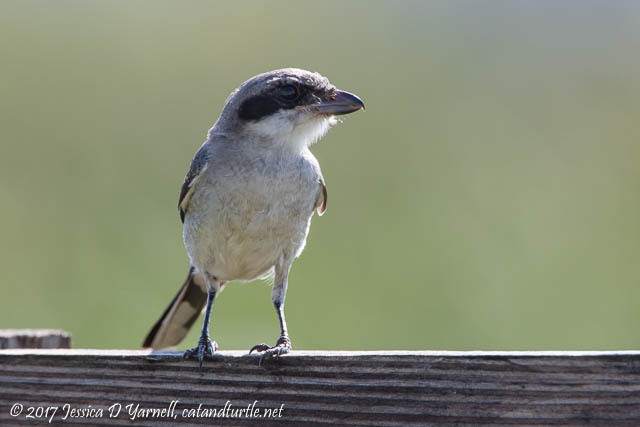 A juvenile Loggerhead Shrike had just hopped out onto a fence. 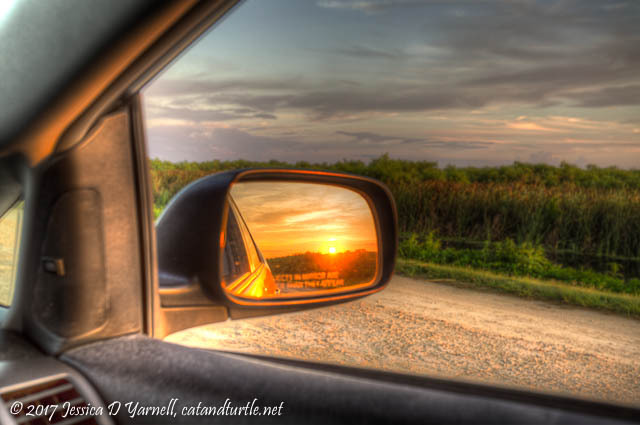 He was beautifully backlit by the rising sun. I asked him to stay away from my house and especially my bird feeders! LAWD is actually a pretty reliable place to find Blue Grosbeak year-round. I almost always see them and hear them at the Lust entrance gate and out by Forky. It’d be fun to see them with fledglings! Oh yeah, don’t forget about Forky! 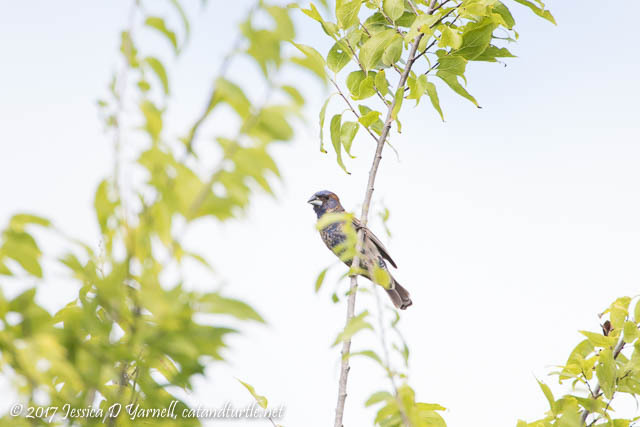 He’s been resident for a pretty long time for a vagrant rare bird. My first photos of him were from May 29. This photo was taken on July 2. 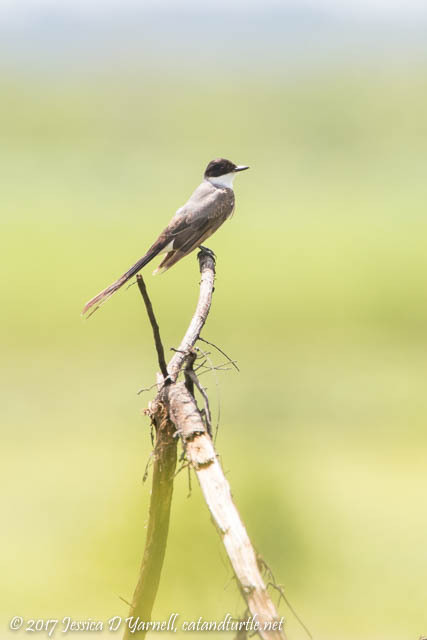 I know that the ABA debated whether a Fork-tailed Flycatcher found earlier this year was actually not just a juvenile, but a fledgling. It’ll be interesting to see how long Forky stays. All these weeks of watching for Forky, I’ve been teased by the calls of Indigo Buntings singing in the distance. I’ve searched and searched and never seen them. Well, I finally found them, two days in a row! 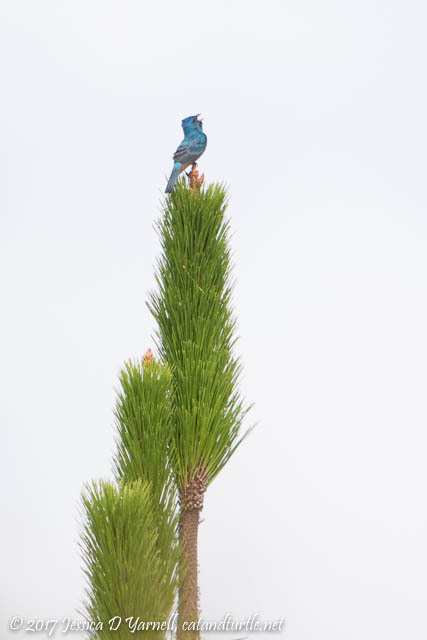 They were perched at the tops of the pine trees opposite of Forky’s hangout. Using my 2x teleconverter and a really good crop, I got a photo of a male singing his heart out. What a fun way to end a visit to LAWD! 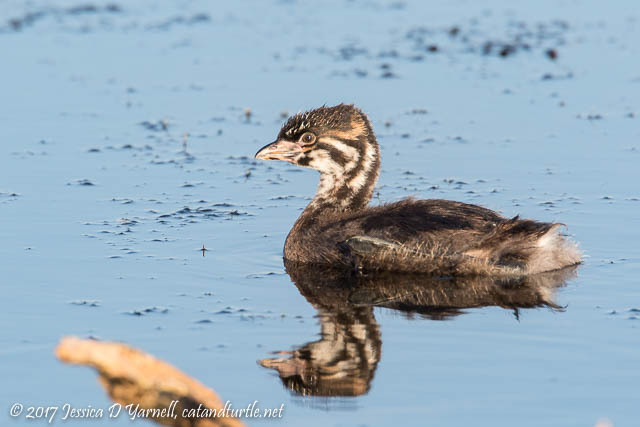 ⟵Another Pied-Billed Grebe Family at Lake Apopka!